Excellent site you have here! After meeting Ustadji Amjad Ali Khansahib and hearing more of him in concert I have become a great fan of his style and music. More recently, I have been submerged in his treatment of Raag Shahana. I have only two records of his playing this amazing raag. The first (Prisoner Of Conscience) is one where he displays his technical brilliance; without a doubt. His clarity, speed and power is jaw dropping as well as the beauty of his playing and compositions. The second is a alap/jor only. Its quite interesting about the contrast from the earlier recording. His playing is extremely simple yet stunningly beautiful. All of his meends are quite simple but he inputs a unique element that really releases each phrase’s beauty. I was wondering if you could do a post about the Amjad Ali Khan gharana’s treatment of this raag? Thank you! Thanks for your comments. I completely agree with your comments re: Ustadji’s Shahana. I’ll cover that in my next post as best as I can. Thank you for your soulful rendering of Dhani – the compositions are very nice and do tend towards the Malkauns ang of this raga. I bought a sarod to satisfy my thirst for classical music. Would it be possible to learn playing and studying, simultaneously. Hope you are enjoying your stay at IIT. I was in Nilgiri Hostel and Dr. Surendra Prasad, who’s now the Director was one of our professors in Elec at that time. Yes, it is possible to study and play music simultaeneously – I did it. 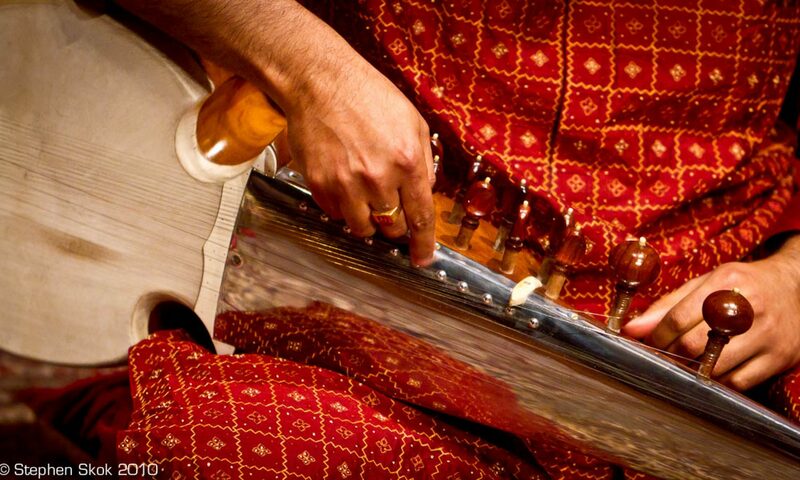 If you are passionate about something, you will find the time for it.Also, you are within 2 kms of Ustad Amjad Ali Khan’s residence, although it might be a bit tricky getting him to teach you the sarod – but proximity to him should inspire you to do more riyaz ! Best Wishes for your sarod and studies. what raga they fall into? Assamese bihu( folk song) and biya naam(marriage song) are purely based on raag dhani .